Undertaking a detailed flood study including hydrologic/hydraulic model calibration and development of 1D/2D TUFLOW hydraulic models. 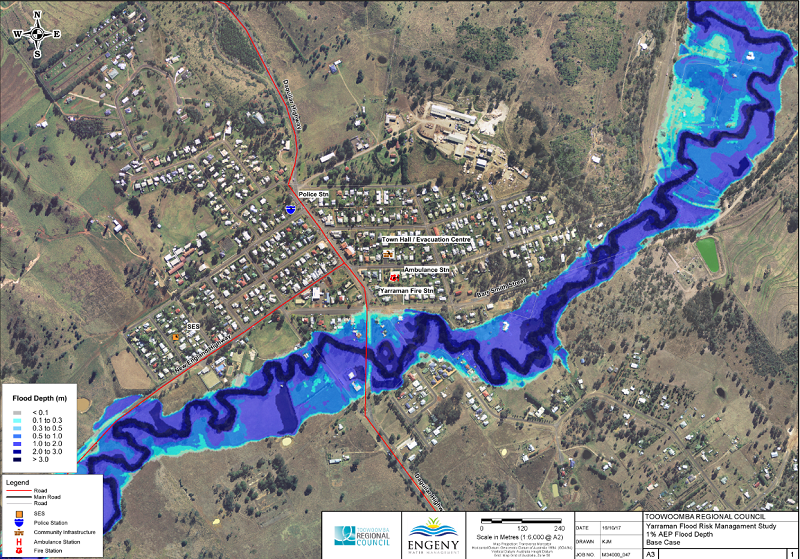 Establishing a detailed understanding of the existing flooding behaviour using the output from the flood study. This was used to identify, analyse, evaluate and manage flood risks. Informing the community of the flood risks and obtain input to the development of suitable flood mitigation measures. Developing a Plan that increases the community’s awareness and resilience to flood risks and identifies flood mitigation measures that serves to protect the community’s lives, property and wellbeing.